Raaga.com: Aishwarya Rai Bachchan in a legal soup! Aishwarya Rai Bachchan in a legal soup! 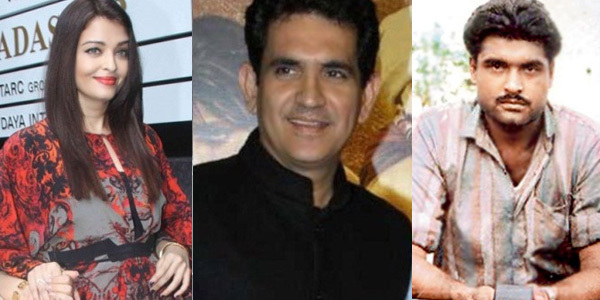 Aishwarya Rai Bachchan and film director Omung Kumar are in a soup for making a biopic on the sensitive tale of Sarabjit Singh, the Indian prisoner who languished more than 20 years in Pakistan prison on charges of spying and terrorism. The movie that had generated much enthusiasm among film buffs and was to go on floor soon has landed in a controversy as Baljinder Kaur, a women claiming to be the ‘Real’ sister of Sarabjit Singh has sent legal notices to the director Omung Kumar and the lead actor Aishwarya Rai Bachchan warning them from misinterpreting the facts about Sarabjit's life. It may be noted that though the movie focuses on the protagonist Sarabjit Singh but the backbone of the movie is its female protagonist Dalbir Kaur (played by Aishwarya Rai Bachchan) sister of Sarabjit Singh, who played a lion’s share in generating a campaign for her brother’s release and also halting Sarabjit's execution, as he was charged of terrorism and spying by the Pakistani court and sentenced to death in 1991. However Baljinder Kaur claims that Dalbir Kaur is not the Real sister of Sarabjit Singh and also discards the theory that Sarabjit Singh (who was a farmer by profession) had crossed the Indian border in a state of inebriation as utterly incorrect. Instead she declared that Sarabjit Singh was an undercover agent of Research and Analysis Wing (RAW), external intelligence wing of the defence forces and was in Pakistan for a mission. It may be noted that Sarabjit Singh had ten siblings but nobody was in picture when Sarabjit Singh was sentenced to death on terrorism charges except Dalbir Kaur, who run from pillar to post to get justice for his brother since 1991. When contacted Dalbir Kaur denied the allegations of Baljinder Kaur and has also come forward to undergo a DNA test to prove that she is the sister of Sarabjit Singh. Briefing media Dalbir Kaur said, “The world is aware that who has fought tooth and nail for Sarabjit Singh.” She added, “My other siblings were nowhere when I single handedly struggled for my brother’s release but after his death these siblings are coming to garner cheap publicity.